The black-footed cat is a discreet cat which is not easily found. It is known to be one of the smallest of all cats in the world (smallest in Africa) and is a carnivore belonging to the family Felidae. It is almost the same size as the domestic cat and is known to be very shy and properly disguised in its environment. Its coat is brown in color and can vary from cinnamon and light tan and has black or brown patches. These brown or black patches form bands at the shoulders, the legs, and the tail. The tail tip is black in color. This cat has a very wide skull. Its ears and eyes are described as being round in shape, and its tail is comparatively shorter than that of the domestic cat. It weighs 4.5 lbs on average, and it is 16.5 inches tall. Males are relatively larger than females. The black-footed cat is known to hunt alone (solitary) and mostly in the night (nocturnal). It preys on over 50 different kinds of species, including reptiles, rodents, gerbils, mice, shrews, birds, and insects. It can hunt and kill prey up to double its own size. The black-footed cat is native to the south of Africa in South Africa and Namibia and in small populations in Botswana and Zimbabwe. It is mostly found in arid savannas, grasslands, and dwarf shrubs. It lives in termite molds that are abandoned unlike other cats that would prefer living in trees. The black-footed cat breeds between July and March, and kittens are born after a gestation period of 60 to 68 days at around November. The female bears a liter of one or two kittens and nurses them in mounds and burrows. At around week three, the kittens can wander around their surroundings near the burrows, and at week seven, the mother weans them. A number of issues threaten the black-footed cat, such as loss of habitat, habitat degradation and disturbances. 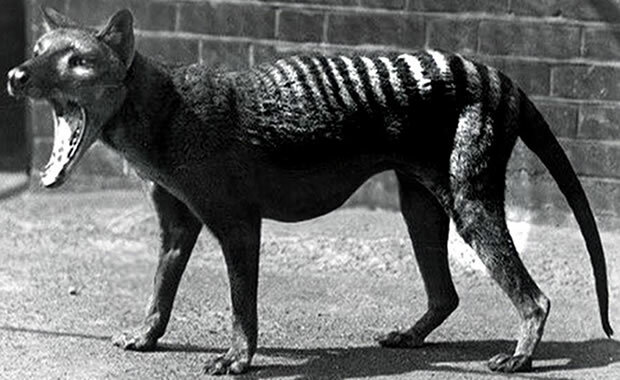 It is also threatened by disease, accidental hunting, killing and poisoning. Conservation actions taken include protection of most of the areas in which they are found, creating public awareness on the need to conserve the species, management of predator populations, and reintroduction captive bred cats into the wild. These actions have helped in the protection of the species. Copyright Notice: This article is licensed under the GNU Free Documentation License. 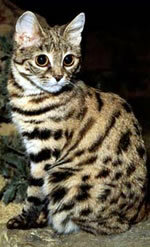 It uses material from the Wikipedia article "Black-footed cat". Glenn, C. R. 2006. "Earth's Endangered Creatures - Black-footed Cat Facts" (Online). Accessed 4/18/2019 at http://earthsendangered.com/profile.asp?sp=59&ID=1. Need more Black-footed Cat facts?